Mosquito borne diseases have become a public health nuisance. Malaria is the most common and life threatening mosquito borne illness that affects a large number of people worldwide each year! CDC has documented that in the year 2015, 212 million cases of malaria were identified worldwide of which 429,000 people died due to the disease. This shows the burden of Malaria and raises the need to be more cautious about the disease and know more about the disease. What is Malaria? Malaria is a mosquito borne parasitic disease caused by the bite of infected female anopheles mosquito. The mosquito typically bites only during night hours and never during the day. How does Malaria manifest? 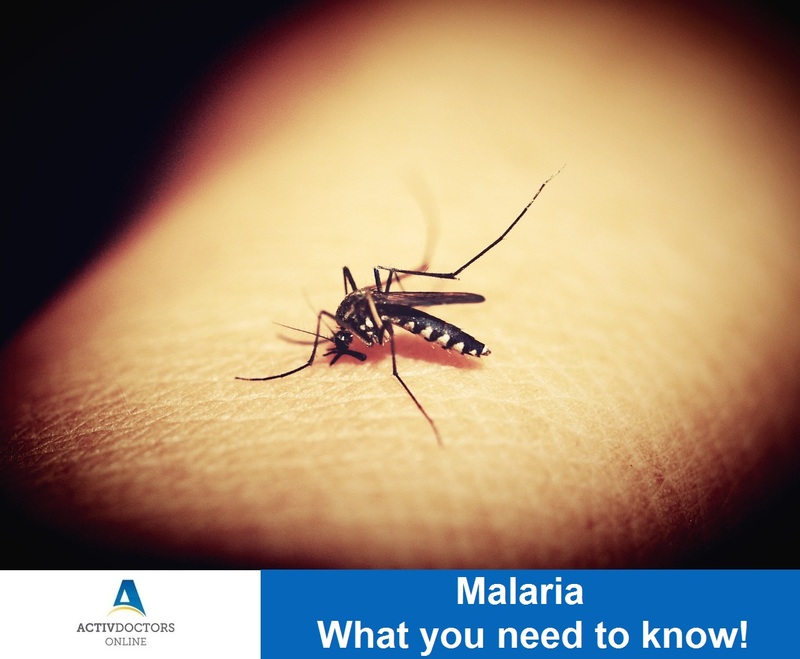 Malaria is an acute febrile illness, meaning it is typically a disease characterized by high grade fever with severe chills followed by an episode of sweating, explained as the hot phase followed by the sweating phase. Other symptoms include – headache, vomiting and loose stools. When do symptoms begin? Symptoms usually begin within 7 days after the bite of mosquito or might prolong to develop symptoms even after 4 weeks depending on the immunity of the individual affected. Modes of Spread – Mosquito bites are the prime mode of disease transmission. When a mosquito bites a diseased person, it carries the parasite load within and when the same mosquito bites a healthy individual, it transmits the parasite and thus the disease. However, the disease can also be transmitted during blood transfusion, by sharing needles, from mother to child during pregnancy. Who are at risk? Malaria affects and is equally fatal in all age groups. But it is more dangerous in infants, elderly, and pregnant women. When to consult a Doctor? Do not delay in consulting your Physician, when you develop high grade fever with chills and not reducing on regular dose of Paracetamol, in a Malaria endemic area. Treatment of Malaria – Your physician conducts a few blood tests to reconfirm the disease and begins the treatment. Treatment will be decided by your physician, based on the parasite he identifies from your blood reports. The course of medication is also dependent on the blood reports. Malaria cases are increasing day by day, so let us employ all the possible measures to reduce the menace and the burden on the community. Let’s be well prepared and end Malaria for good!